Ebria Records from Italy challenged us already a couple of months back with the experimental acoustic Dadaism of IOIOI, and therefore it was to be expected that their new release by electronic duo Echran wouldn't make things easier for us. I would have been disappointed otherwise. Two people collaborating in electronic music often means two styles clashing and in the best moments coalescing into something uniquely beautiful. You have Fabio Volpi responsible for the programming and Davide Del Col playing the probably more melodic synth lines, adding necessary texture and harmony to make this self-titled debut an interesting hearing experience. The opener Erste takes some time to find its momentum, but once it's there, it's a nice post-industrial hypnotic piece. Monitor B may not be for everybody's taste as it is digging deeply into a nervous noise pattern, like insects communicating deep inside their hive. This track features some spoken words. The longer Formant is in my opinion the highlight of the CD, going back to Seventies kraut electronica interwoven with jarring synth bass lines, as if angels and demons were dancing. Reder At 4:30 is again a noisier track, but En Avoid brings back a simple yet intense rhythm that leaves enough room for atmospheric bubbles forming around it. The album ends with the in my opinion too long Several, a moody piece sounding like a backdrop for its spoken word part. 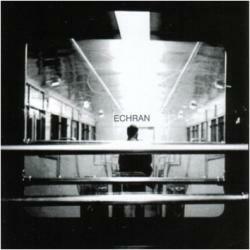 Echran is a promising debut that is really captivating at its best moments but also sometimes loses the listener when it itself is losing focus. Certainly ideal music for an arts installation, but at home I always find myself skipping to my favourite tracks. All in all this is good experimental electronic music that aims at an open-minded audience.